According to many, Alfred Hitchcock is the greatest director of all time. Dubbed the Master of Suspense, the majority of Hitchcock’s filmography aligns with the mystery and thriller genres. Throughout his career, he frequently used similar plot devices and techniques from film to film as a way of capturing the audience into his suspenseful tales and holding their gaze until the final scenes. Through this repetition, he was able to present a film in a familiar way to the audience and then diverge in a unique and thrilling direction to keep the audience’s attention. As is common with many highly touted directors, Hitchcock’s work has spawned countless films and entries in other forms of media that are inspired by and/or imitations of his films. Unlike other directors though is the existence of an entire mystery/thriller subgenre of films that employ similar tactics, devices, and techniques that Hitchcock utilized during his career. Labeled as Hitchcockian thrillers, this subgenre includes both films that were released during Hitchcock’s career that bear similarities to his then contemporary releases as well as films that have been released since the end of his career and made through inspiration and homage to his work. The following list contains 15 films in chronological order, starting in the early years of Hitchcock’s time in Hollywood and stretching to releases from just a few years ago, that are the very best examples of a Hitchcockian thriller and feel the most like they were directed by the Master himself. The first entrant in this list was released during the same year as Hitchcock’s drama Lifeboat. Directed by George Cukor, Gaslight stars Ingrid Bergman as a newly married woman who begins to question her sanity and the intentions of her husband (played by Charles Boyer) after a series of bizarre events occur in the house where her aunt was murdered and the couple now reside. The story aspect of recent brides questioning what they know about their husbands and their possible intentions fit alongside two of Hitchcock’s first several Hollywood releases, Rebecca (1940) and Suspicion (1941). Gaslight’s star, Ingrid Bergman would appear in three Hitchcock films after 1944, Spellbound (1945), Notorious (1946), and Under Capricorn (1949). Co-star Joseph Cotton also appeared in two Hitchcock films, 1943’s Shadow of a Doubt and he too was also in Under Capricorn. The unique thing about this film was that it almost was Hitchcock’s. French director Henri-Georges Clouzot obtained the rights to the story Celle Qui N’était Plus by Pierre Boileau & Thomas Narcejac shortly before Hitchcock was able to. Hitchcock wound up directing two films in 1955, To Catch a Thief and The Trouble with Harry, which both cower to Les Diaboliques. Clouzot’s final product feels very much like Hitchcock himself directed it, as it is laced with terror and characters facing suspicious circumstances. 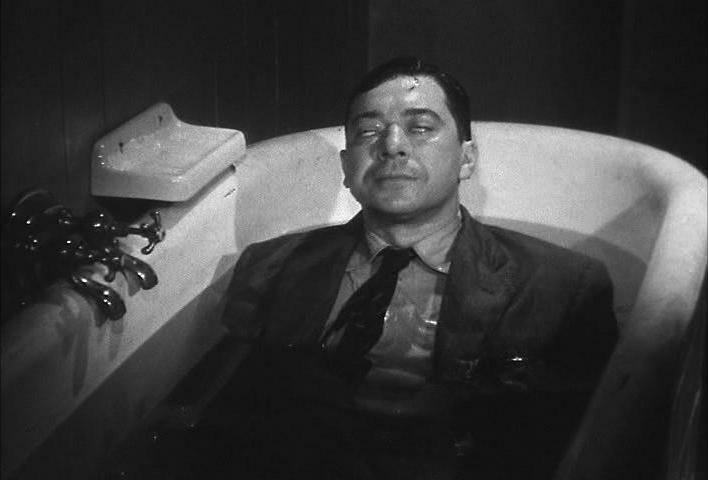 There is one glaring difference between Clouzot’s picture and Hitchcock’s films: Les Diaboliques is a much darker film. Starring Véra Clouzot and Simone Signoret as a vile headmaster’s wife and mistress, respectively, the film follows their characters as they, united by a mutual hatred for the man, murder him. Their world soon becomes shrouded in mystery as the headmaster’s corpse disappears and the two women begin to experience strange occurrences. The strongest aspect of this film in relation to Hitchcockian qualities is its famous twist ending, which rivals the climatic twists that Hitchcock is famous for. This film was also incredibly influential on Hitchcock’s magnum opus Psycho (1960), which had less glamor, was much darker, and more violent than any of his previous films. 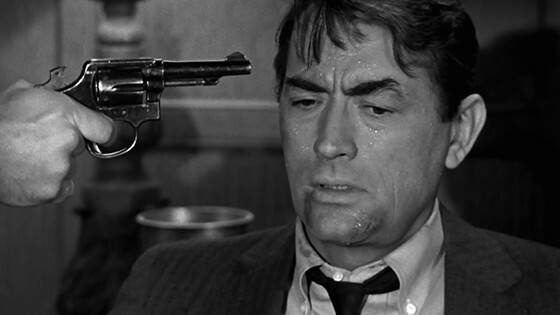 When Psycho was released in 1960, it was quite controversial. An equally controversial thriller that year was Michael Powell’s Peeping Tom. Powell’s film joins Hitchcock’s as two early and incredibly important slasher films in the history and development of the horror film. The two films are notable for their violent content and containing scenes of a sexual nature at a time when both of these were still seen as taboo by much of the industry. Michael Powell was a friend of Hitchcock and worked on some of his earlier films, so it is not much of a surprise that Peeping Tom has been considered a Hitchcockian film. The film stars Carl Boehm as a man who spends his days as a timid cameraman and his nights as a serial killer who takes racy photographs of models and then records their terrified faces he kills them. 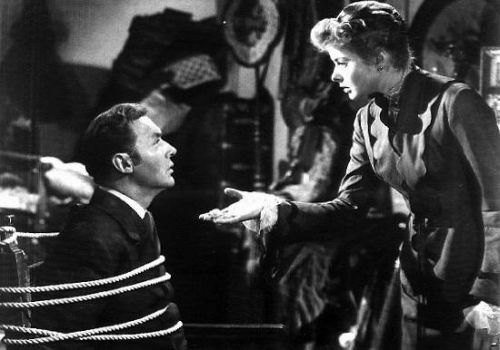 The film’s main character was raised by an overbearing parent, an aspect of a character’s background that is common in Hitchcock films. This is the quintessential Hitchcockian thriller. Released the same year as Hitchcock’s horror film The Birds, Charade features many of Hitchcock’s finest techniques. The film, directed by Stanley Donen, stars Audrey Hepburn as a woman whose life becomes threatened by a group of ruthless men who believe a large sum of stolen money that her recently deceased husband had belongs to them. Her situation is further complicated by her romantic attraction to a man (played by Cary Grant) whose identity and friendly intentions may not be as he says. Charade, like some of Hitchcock’s films (most notably North by Northwest), masterfully infuses romance and comedy into the film through a clever script, which in turn expertly balance the suspenseful tale. The film’s rooftop fight and nighttime subway station chase are excellent examples of an effective usage of shadows and the manipulation of light, one of Hitchcock’s greatest technical gifts. 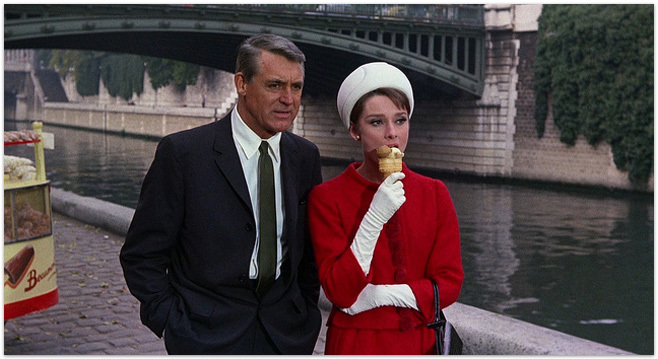 Charade features many plot twists, culminating with two powerful and shocking twists right near the end of the film. The film also utilizes the staircase and elevator apparatus in the hotel where the main characters are staying. The usage of the staircase as a way to increase the suspense of a film is one of Hitchcock’s trademarks, appearing in several of his best works. The film also stars Cary Grant, one of Hitchcock’s most frequent collaborators. Together, they made four pictures: Suspicion (1941), Notorious (1946), To Catch a Thief (1955), and North by Northwest (1959). Rich in plot twists, Mirage is an often overlooked film in the Hitchcockian subgenre. Directed by Edward Dmytryk, Mirage stars Gregory Peck as an amnesiac who finds himself involved in the death of a philanthropist and, through the help of a couple people, tries to piece together his recent past with the hopes of discovering the truth. This film’s protagonist is, like many of Hitchcock’s protagonists, an innocent man on the run, desperate to discover the truth and clear his name. This film’s star, Gregory Peck, appeared in two Hitchcock films, Spellbound (1945) and The Paradine Case (1947), and his character in the former also suffers from amnesia. This film feels as similar to Hitchcock’s films as it does another Hitchcockian film, Charade, which was penned by the same screenwriter and also has Walter Matthau and George Kennedy in its supporting cast. The first of two Brian De Palma entries in this list, the acclaimed director considers Hitchcock as one of the biggest influences of his films. The influence is quite noticeable, especially in Sisters. Margot Kidder stars as Danielle, a model who is investigated by a reporter and a private detective for covering up a murder that the reporter witnessed from her apartment. The perceived suspect is Dominique (also played by Kidder), Danielle’s once conjoined and recently separated twin. 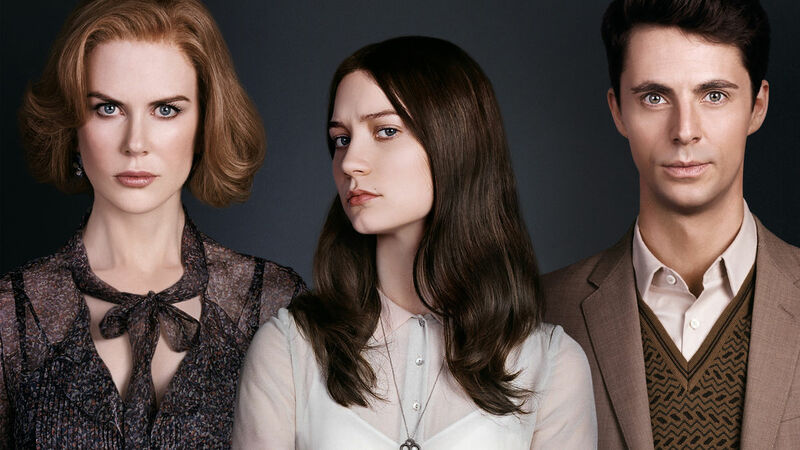 De Palma was able to get composer Bernard Herrmann to do the music for Sisters. Herrmann collaborated with Hitchcock seven times, including on Vertigo (1958), North by Northwest (1959), Psycho (1960), and Marnie (1964). 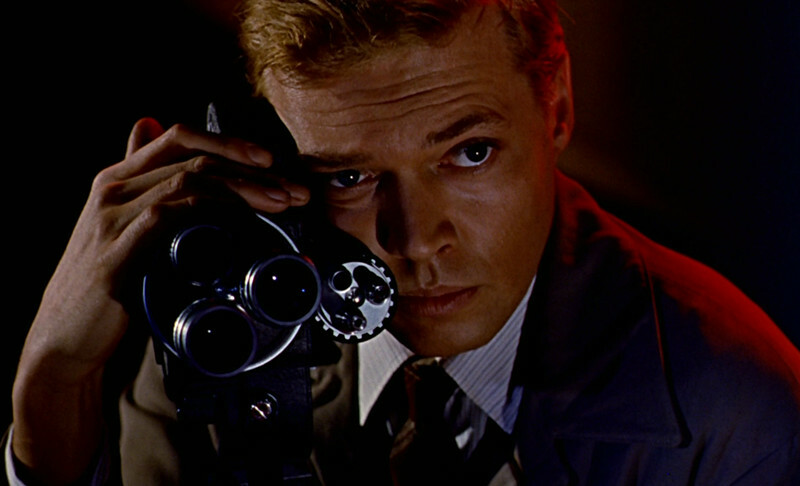 The film contains references to Hitchcock classics Rear Window (1954) and Psycho. It also presents a unique look at how Hitchcock may have directed a film that focused, at least in part, on the development and existence of the bond between mysterious siblings. This film is packed with twists and turns as its reporter protagonist tries to expose the seemingly perfect murder, and the narrative flows in a way that only Hitchcock could do, showing that this Hitchcockian thriller truly is an homage to the great director. The second and final Brian De Palma entry on this list, Blow Out provides further evidence that Alfred Hitchcock was essential to establishing his directorial identity. Released one year after the Master of Suspense’s death, this political thriller and neo-noir film stars John Travolta as a sound effects worker who records the assassination of a political figure and is thrown into a chaotic web of danger. 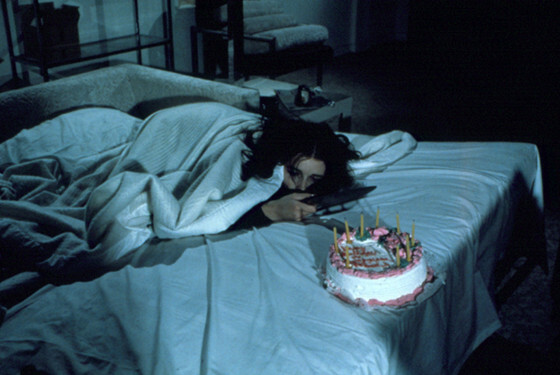 This film actual takes inspiration from not only Hitchcock’s films, but also Italian director Michelangelo Antonioni’s Blowup (1966). Blow Out comes with all of the suspense that accompanies a Hitchcock thriller, making excellent use of a few of Hitchcock’s most defining film characteristics. 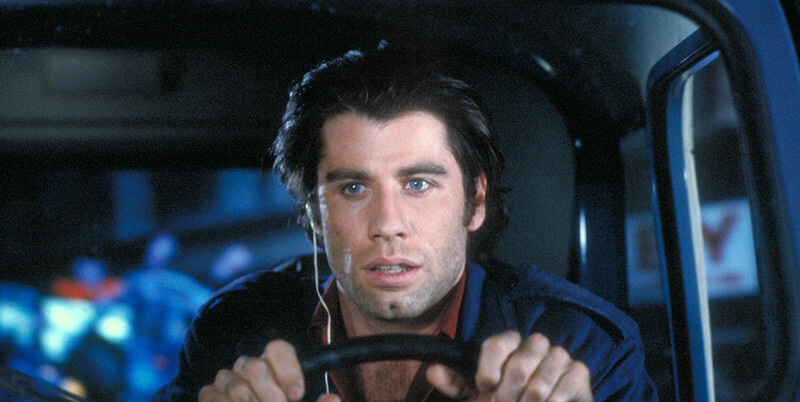 In terms of the protagonist, Travolta’s character is a normal man who finds himself embroiled in extraordinary and dangerous situations. He also becomes romantically involved with a woman (played by Nancy Allen) who is connected to the danger that he finds himself in. The other notable Hitchcock technique from Blow Out is one that is not highlighted as often as the others: the manipulation of sound. This is a sensible area for the film to succeed at, as it follows a sound effects member of a film crew. But the isolation and paranoia that the sounds of this film create are reminiscent of The Birds (1963), among other Hitchcock productions, and further the suspense of the film.